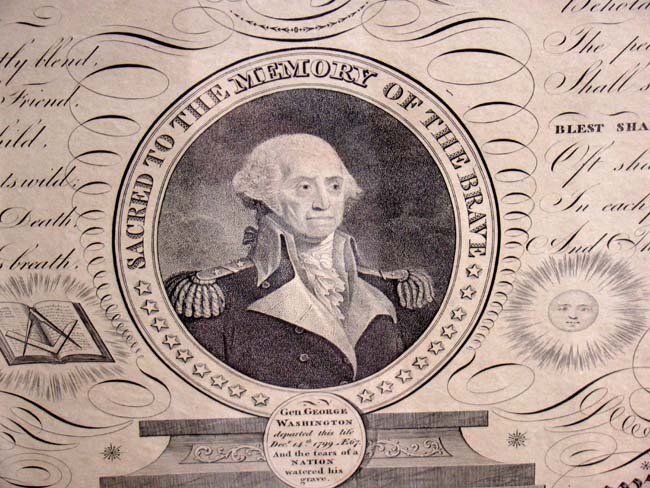 This historic engraving has been beautifully framed and matted and measures 28 1/2" by 24". 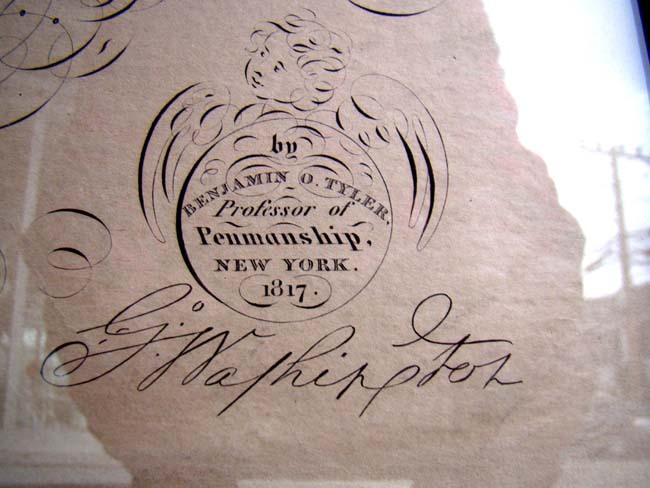 It was designed, written and published by Benjamin Owen Tyler, Professor of Penmanship, 126 Broadway, New York, in 1817. It was engraved by Peter Maverick of Newark, N.J. Due to the glass, photographs have been difficult to take.